This, my friends, is how you take one for the team. 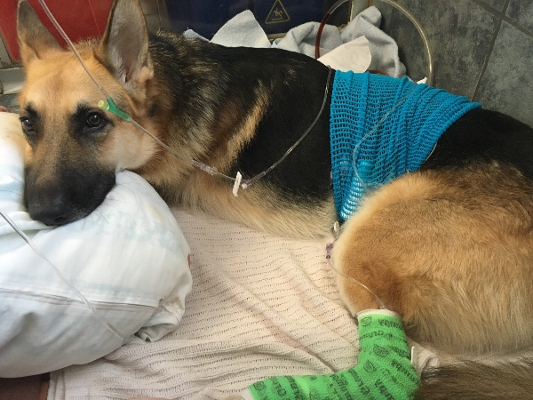 A German shepherd by the name of Haus was playing with his 7-year-old human, Molly Deluca, and her grandmother in their backyard when all of a sudden something attacked. They then realized Haus was battling a rattlesnake. He suffered three bites during the encounter. “Next thing we know is, there’s blood and he was limping and crying,” she said. 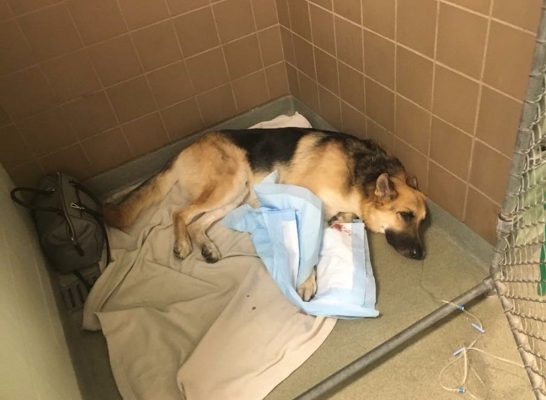 The family brought him to an animal hospital, but his condition was dire. Because of how many times he was bit, the cost of his care is astronomical. According to his Go Fund Me page, Haus is on a low-protein anti-venom that cost $618 per vial – of which he needs four to five per day. It also says he may need surgery to clean his wound, as well as a skin graft, but that remains to be seen. Despite the cost though, the family is desperate to save him. Of a $28,000 goal, they’ve now raised nearly $40,000 (as of press time). 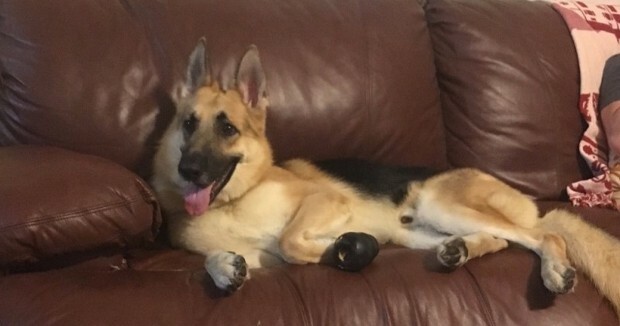 The extra money will go to a German shepherd rescue. We’re pulling for you Haus.